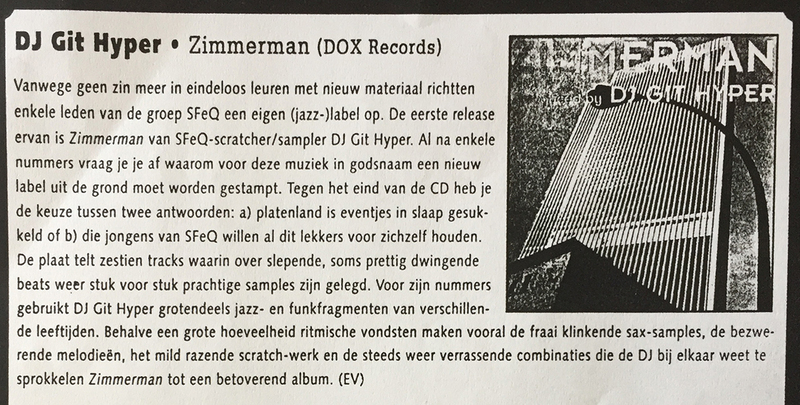 As you may know, this year we are celebrating the 20th anniversary of Dox Records. 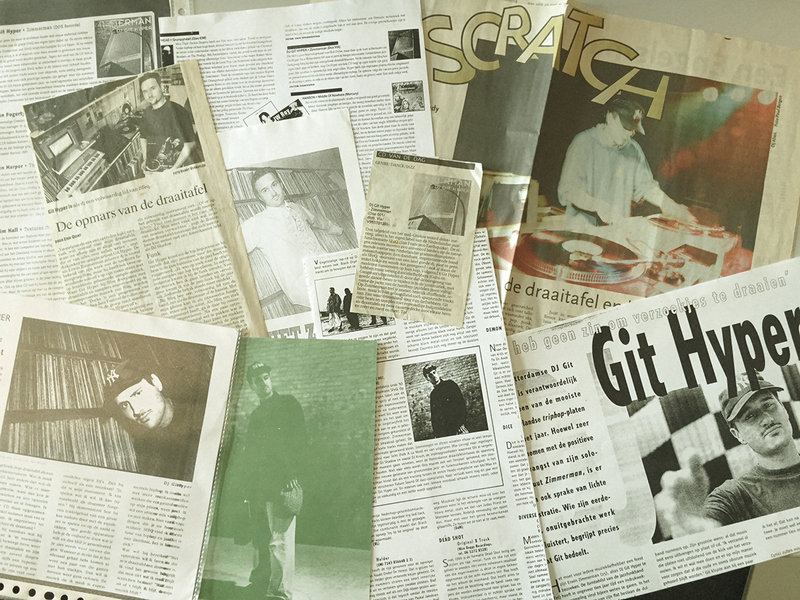 While searching through our archives we stumbled upon the first ever album released on Dox Records in 1997 (Dox 001). Everybody at our office immediately agreed that after all those years this album still sounds as if it was released yesterday. That’s what we call a true classic album! What release are we talking about you ask? 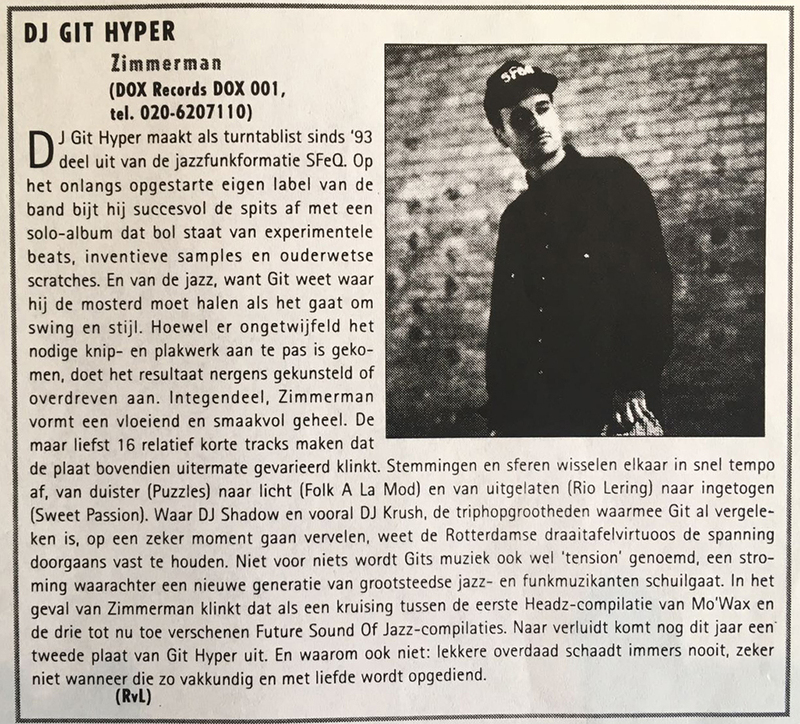 Catalog number Dox 001 belongs to the album Zimmerman by DJ Git Hyper. 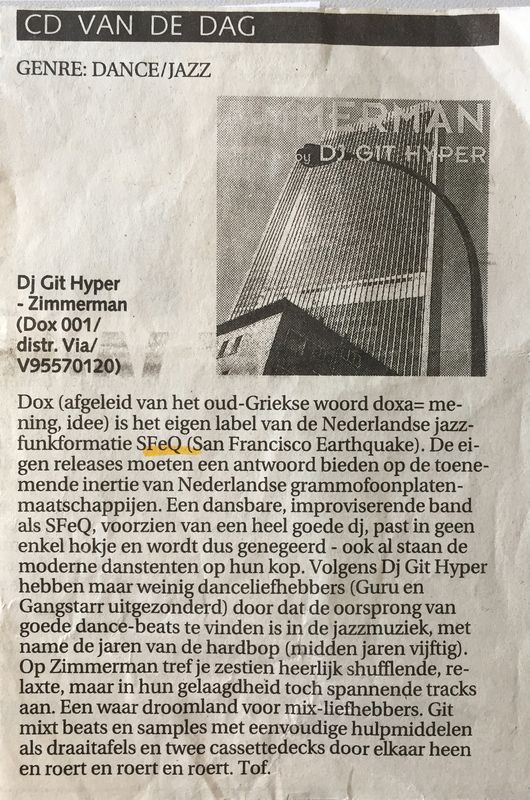 Git Hyper started out as a turntablist in the then successful jazz-funk formation SFeQ. 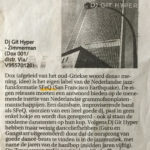 A few members of SFeQ (amongst which Dox owner Bart Suer) decided to start their own record label: Dox Records, starting with the release of Git Hypers solo debut. 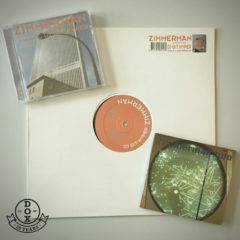 The album ‘Zimmerman’ contains 16 tracks filled with experimental beats, inventive samples and old school scratches. 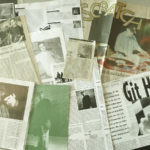 ‘Zimmerman’ was praised by press, media and the audience, see below for a selection of the reviews and interviews from 1997. 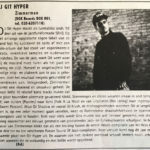 These past years Git Hyper has been active as a DJ for hiphop formation DuvelDuvel while also touring with Caro Emerald. Zimmerman and the follow up album Zimmerman two are now available to stream and download on all of your favourite platforms. 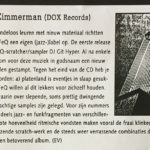 The cd and vinyl are now available to order in the Dox webshop.